The 2016 season marked the most successful season since Calvert’s 2000 State Championship run. The Cavaliers finished the regular season with a 9 and 1 record. In front of the Cavalier home crowd, Patuxent handed Calvert their only loss of the regular season. The 23 to 8 loss motivated the Cavaliers for the second half of the season. They stacked up big wins like the 17 to 14 win against a very talented play-off bound Lackey. The Cavaliers kicked off the playoffs with a first round home game against a one loss Gwynn Park team from Prince Georges County. Calvert won the contest 42 to 28, and moved into the Regional Championship Game against county foe, Patuxent. The focused and determined Calvert team was not denied as it chalked off the 24 to 21 victory. A long pass play and late field goal, with only eight seconds left, sealed the Cavalier’s win, deeming them Region Champs. This contest proved to be one of the best high school games in recent county history. The victory ensured another home playoff game over Thanksgiving break. This was going to be a tough match up! Elkton High School would make the long journey to Prince Frederick and dash the Cavaliers dreams of going to the State Championship, by handing them a 21 to 6 loss. 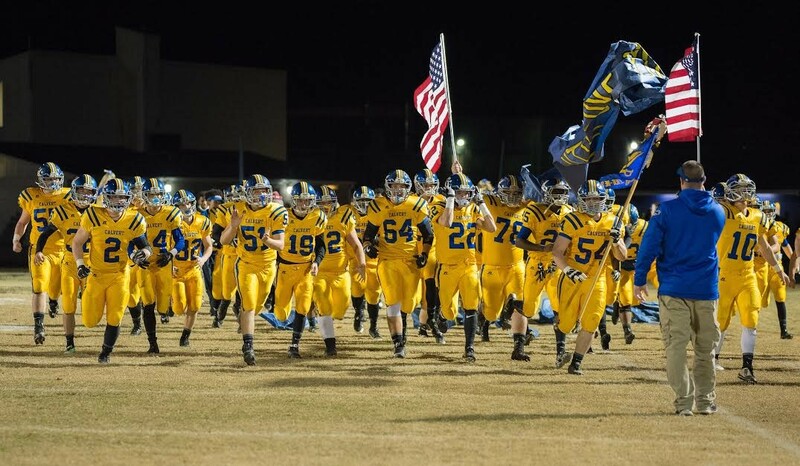 Although Calvert came up short on the score board, the Cavaliers have certainly created a legacy of great football. Therefore, our seniors and players, and the program will not be remembered for the games they won, but for the lives they live. We choose to live in Uncommon Greatness, in everything we do, and hopefully we can be used to influence and shape others along the way!